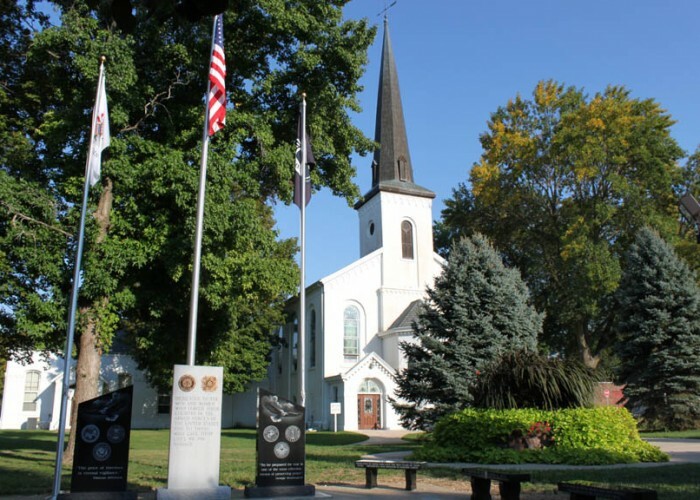 First Presbyterian Church is located at 101 N. Main St. (309)547-2805. 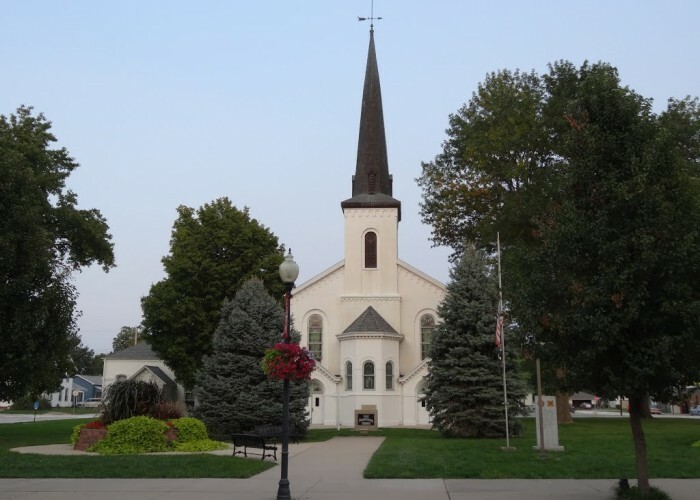 The Presbyterian Church of Fulton County was organized September 13, 1828, composed of members from Lewistown, Canton, and the territory in between. Worship was conducted in alternating locations. Lewistown members organized the Presbyterian Church of Lewistown on January 16, 1836. New members were received January 17th, bringing the congregation’s membership to twenty-one. Worship was conducted in homes. The first mention of a church building is in Session records of February 22, 1839. The present building was dedicated October 25, 1856. The Parish Hall (north wing) was dedicated October 25, 1882.